for $147,000 with 2 bedrooms and 2 full baths. This 1,006 square foot townhouse was built in 1989 on a lot size of 962.00 Sqft. Great opportunity! 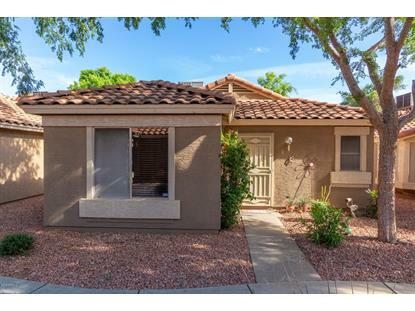 Charming 2 bedroom, 2 bath 1, 006 sq. 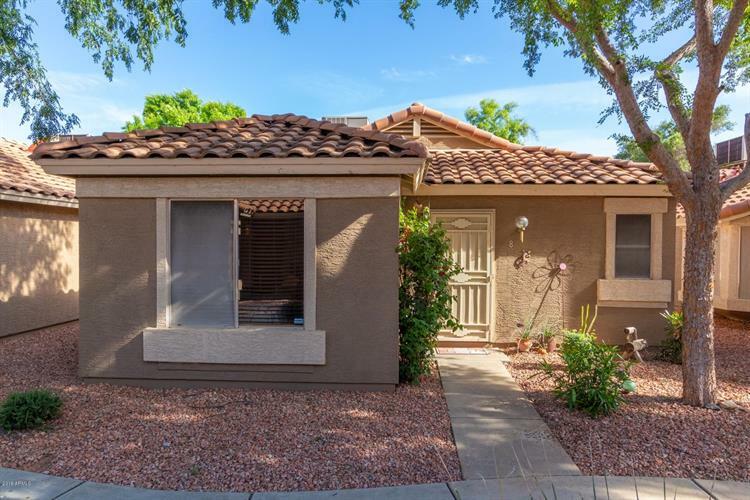 ft. townhouse, conveniently located in Peoria, near shopping and dining favorites. Manicured, no fuss desert landscaping. Private backyard, with public pool and spa access. Open interior, with immaculate tile and wood-look laminate flooring. Sky-high vaulted ceilings. Ultramodern kitchen, complete with granite countertops, breakfast bar, wooden cabinetry, and top-end, all-white appliances. Formal dining within the spacious Family room, which also showcases a cozy, wall fireplace. Luxurious Master bedroom, full bath equipped with vanity with double sinks, rich cabinetry, and shower/bath. Additional bed/bath provide versatility as guest room, game room, office etc. Don't miss out. Call to schedule your private showing today!